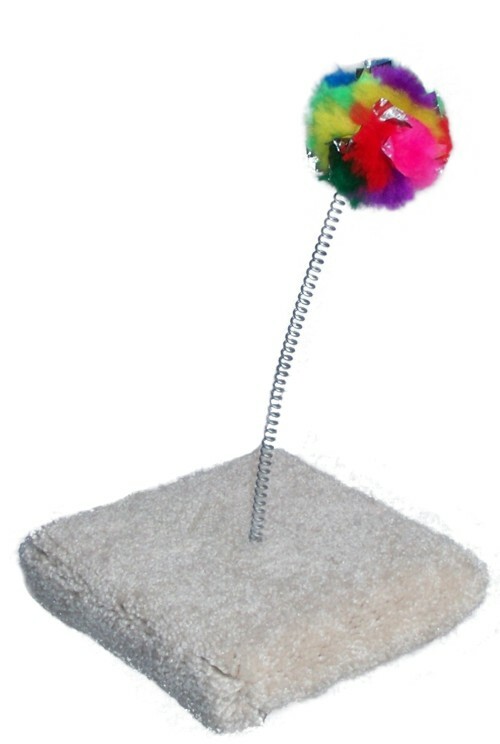 The original patented Crinkle Ball is attached to the end of a 12” spring and it is guaranteed not to pull off. The carpeted base provides enough weight not to tip over. This type of action is sure to entertain cats of all ages. The carpet also makes for an excellent scratch post for your cat. Cats enjoy swatting at the Crinkle Ball.